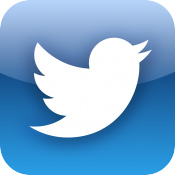 Twitter updated its official iPhone and iPad apps today. The most significant change is that all the official Twitter apps now sync the status of direct messages, meaning that DM's will not show up as 'unread' on multiple devices even after they've been read. The Twitter app also delivers "richer search results" and a new feature to discover new accounts to follow. New to Twitter for iPhone and iPad: when you read a Direct message it will be marked as read in all of your official Twitter apps, including twitter.com, mobile.twitter.com, Twitter for Mac, Twitter for Android and TweetDeck. When you read a message on another official Twitter app, it will be marked as read on iPhone and iPad. The official Twitter for Mac client was also updated with new notifications in the @Connect timeline when tweets have been retweeted or favorited, as well as the new DM status syncing. Solid update, looks like they are only winning half the battle with DM syncing, timeline syncing would be great.